Choosing instrumentation can be tricky, especially with the wealth of diverse options currently available. 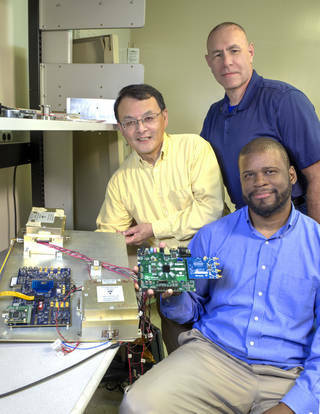 At Digilent, we tailor our Test and Measurement devices to combine the feel and functionality of a professional lab bench, with a flexible software user experience that is designed to accelerate student learning. Today we are going to try to make this a little easier- with the official Digilent Selection guide! 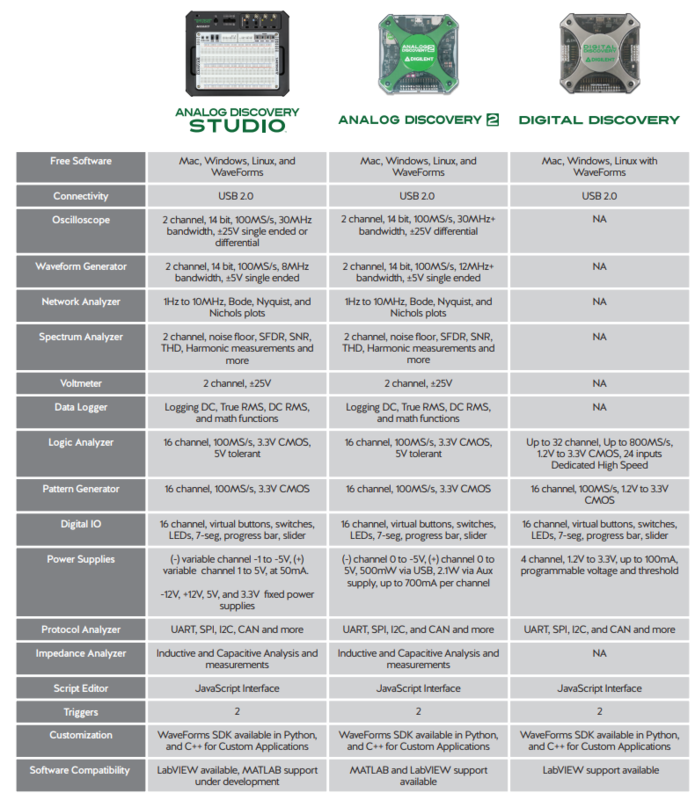 Analog Discovery 2: All-in-one USB oscilloscope and test and measurement system. 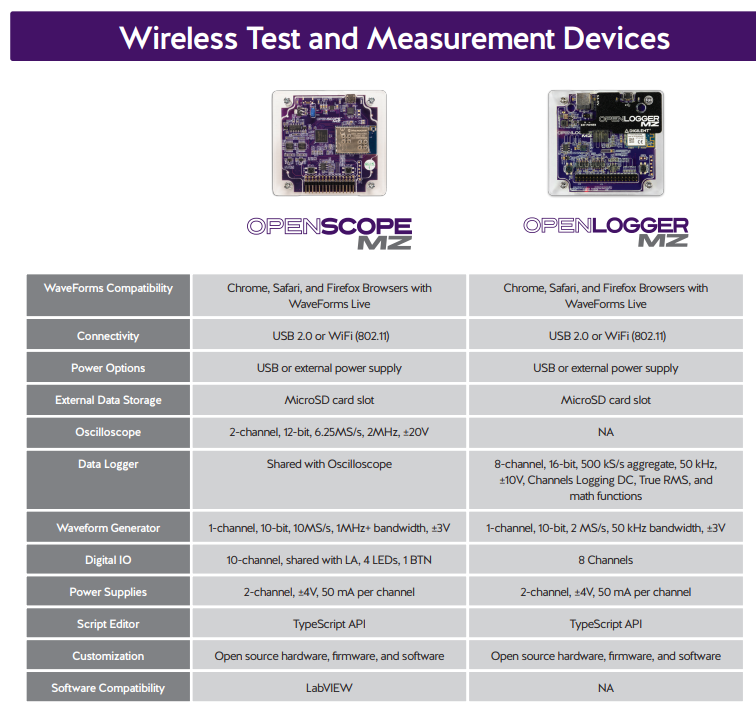 “OpenScope and OpenLogger provide our most flexible Test and Measurement experience. 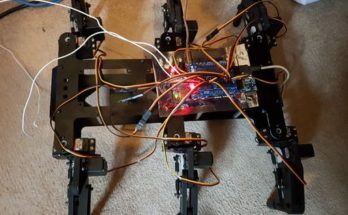 Both feature wireless connectivity, expanding the possible measurement opportunities to moving designs and projects that require electrical isolation, freeing students from the restraints of a tethered connection. The accompanying software, WaveForms Live, is available on a browser or mobile application, giving students access to measurement devices on a tablet or phone! WaveForms Live is our newest Test and Measurement software interface compatible with all of our Wireless Test and Measurement Devices. WaveForms Live works on a browser or mobile application and allows students to take measurements without the constraints of a physical connection. OpenScope provides an Oscilloscope, Data Logger, Waveform Generator, Power Supplies, and Digital I/O with a Bode Plot and FFT view. 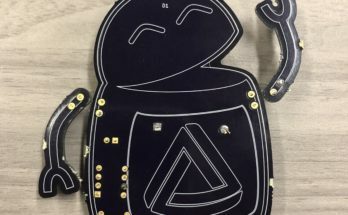 Students needing to view a signal on their robot, test a sensor on a mechanical design, or test a project that they may not want to connect to their computer, can take advantage of a truly flexible wireless oscilloscope. 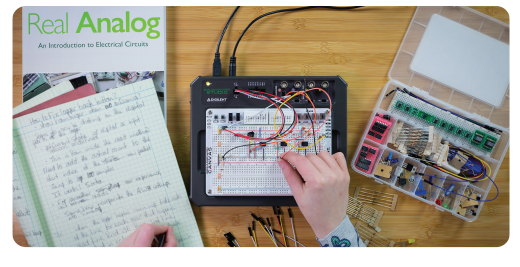 OpenLogger provides a Data Logger, Waveform Generator, Digital I/O, and Power supplies. 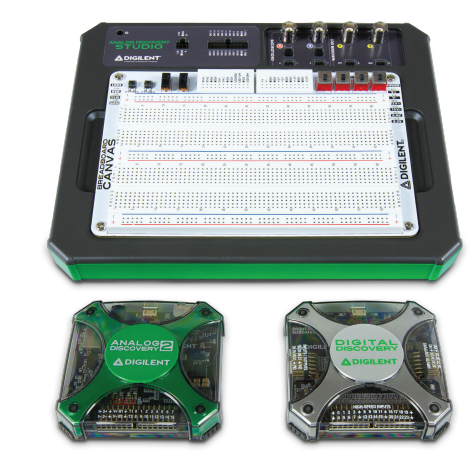 With 8 channels of analog inputs and 16 bits of resolution, students can maximize their test runs and capture large amounts of accurate data. Data can either be logged to an SD card or streamed to WaveForms Live, giving students the opportunity to store data for analysis later AND check on their tests in real time. Previous Article Custom Application Using Six OpenScopes! Next Article ECEDHA 2019 is Complete, And The Wait is Over!